After qualifying in 1984 from Dundee Ian gained hospital experience in all aspects of dentistry before starting his orthodontic speciality training in 1988. Ian trained in Birmingham to gain the M.Orth RCS qualification and then went onto further hospital specialist training at the Eastman and Guildford Hospitals. Ian moved to Suffolk with his wife, Karen, and four children in 1996 to take over the Orthodontic Department at Ipswich Hospital as the Consultant. 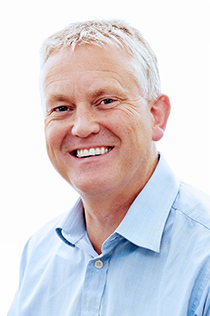 It became apparent that there was not sufficient provision of orthodontic specialist treatment and Ian founded the Suffolk Orthodontic Practice in 2000. Since then the practice has gone from strength to strength based on high quality results in both NHS and private sectors. Outside of work at the hospital and practice Ian has little time as his main occupation seems to be driving his children to and from rugby, cricket, dance and triathlon events!